that scene still confuses the hell out of me. why did he take the Ansem? is he already Ansem, SoD, or is he still AX? why did he stab the three people MOST LOYAL TO HIM? (braig is braig, ienzo was the one who got him his secret lab, and vexen is the mad scientist type, so im making a wee bit of an assumption there). this scene just proves that there is still a lot we don't know about AX, the apprentices, and their time together. any thoughts? Re: My name is Ansem: scene discussion. Why he stabbed the 3 because he was doing it for research and they were there(my assumption).The other reason cause he was a evil(lol not very good i know).He took Ansem's name is something interesting.Maybe it was due to fooling people(as i did) to make it seem Ansem the wise was doing it. He was still Apprentice Xehanort when he stabbed them. Why he stabbed them...? To see what happens? I admit, that scene was a little odd. For him changing his name to Ansem I think it could be either one of two things. If Xehanort did never lose his memory, the name change was so he'd stay in hiding. If AX really was amnesiac, he might have felt that the name "Xehanort" didn't sound right to him(He did have three Hearts in him after all,) and just...preferred Ansem's name...? Am I the only one who thought of the "It is I, Ansem, the Seeker of Darkness" scene from Kingdom Hearts I upon seeing the title? 1) He probably wanted to continue the experiments without major scrutiny from anyone else in Radiant Garden. Therefore, he chose the name in order to make everyone think that Ansem was the one conducting the experiments in case any of his reports were found or something along the lines of that. It would also somewhat hide his identity if someone sees him and heard that his name was Ansem but was unable to find him again. Terranort - now Xemnas at this point - could simply leave and relocate to somewhere else to conduct the experiments and later on organize what would become Organization XIII. 2) As already mentioned, perhaps his memory may or may not have come back. If it's the latter, then it makes sense that he would be able to summon Master Xehanort's keyblade to do the dark deed. If his memory hasn't come back, perhaps he chose the name because he had a better understanding of Ansem's name as opposed to his own (in this case, Xehanort) and chose that name because it seemed to be a name of prestige and power. 3) The writers backed themselves into a corner come the reveal in Kingdom Hearts II and decided that they wanted to give us proof of Terranort taking Ansem's name for himself to justify why his heartless calls himself Ansem and why Xemnas' name is an anagram of Ansem. I agree with the bit about his memory, because of how confused AX seemed in that scene, but the question is, who's memory and how much of it? you have to remember the heart conglomeration in him. maybe he got hit with a bunch of random memories together from the three, it confused the hell out of him, and he went on a stabbing spree? but that still doesn't explain it, because when he says my name is ansem, he sounds much more calm then when he said "no, thats not my name, im not 'xehanort'", which is very odd, unless it's terra and eraqus' memories.idk, the explanations we can give give me pause, because he just seems so unsure of himself in that scene, which is unlike any incarnation of xehanort we know. It's not that complicated what we seen in that scene was Terranort and the other apprentices being turned heartless/nobody. Ansem didn't have a human body/form till he stole rikus and there's also the fact that Riku points out in DDD that Ansem has lost the keyblade for some reason. Meaning it's also the moment Terranort himself became Ansem but it'd have to have been after that scene when he truly becomes the heartless Ansem because Riku pointed out Ansem lost the keyblade. In simpler terms: Terranort uses MX's keyblade to turn everyone else into heartless>>>Says His name is now Ansem>>>>turns himself into a heartless giving rise to the Ansem we're familiar with. So it is indeed AX in that scene, right before he himself becomes AnsemSoD. As to why he stabbed everyone thats obvious if you think about it. Ansem and Xemnas essentially divided Master Xehanorts plans while following their own. Ansem found 7 pures lights, the PoH, and Xemnas found (or rather made for the first 8) 13 vessels to fill with darkness. Xigbar points out in DDD that Xemnas plan was to connect all the org members to the false kh so he could fill them all with the same heart and mind, Xehanorts. As for whether Terranort truely lost his memory or not that can go several ways. Sorry, but I don't think it's as simple and obvious as you all think. Given all the past retcons and twists, I don't think the answer to the Apprentice Xehanort/Terranort/Ansem issue will be something that you can base solely on the information or small details that are given at the moment. You need to think outside the square, and dig very deep into hidden symbolism. Get ready, this post will be very long, and I am probably going to go against the main consensus of most people in this fanbase. Here is what is wrong with what you have written, Anagram, and most other people who have similar concepts. Firstly, you are throwing the name "Ansem" around too naively. Young Xehanort himself stated that the figure in the brown robe, "who you referred to as "Ansem", is Xehanort reduced to just a heart". He doesn't say he is Xehanort's heartless, he doesn't say he is Ansem's nobody, Ansem's or Xehanort's dog or cat. He is Xehanort reduced to a heart. He even goes on to state that he was talking to himself, when Mr. Brown Robe is talking to Young Xehanort on the DI shore. There is no conclusive evidence to say that Brown Robe guy is the heartless that was created (if a heartless was even created) when Apprentice Xehanort, who had at that point taken up the name "Ansem", stabbed himself. You're all gonna jump on me now, but please keep in mind that Brown Robe guy has the power to transcend time whenever he wants and can travel wherever he wants, since he has no bodily form. Now, we have seen many times that Master Xehanort is able to cast out his own heart whenever he pleases. What if Brown Robe guy is actually just Master Xehanort's floating heart? We know he can cast it out, but who's to say that it needs a target? In fact, what needs to be put more into contemplation is how Master Xehanort was able to cast his heart out so many times? He cast his heart into Braig, Terra and even had the ability to do so again in KH3D when he attempted to take over Sora. Not to mention, that when Lea blocked the heart, Master Xehanort was not even phased. He had just ejected his heart for nothing, but it didn't even seem to bother him. Do you see where I am getting at? What's to say that Master Xehanort didn't just eject his heart into the open, creating Brown Robe guy? It wouldn't be too farfetched to assume this, as he can leap into whatever time frame he so wishes. So now you are all going to be saying, why would Apprentice Xehanort/"Ansem" stab himself then? I want to come back to the point about "Ansem" purposely doing it, in order to create nobodies for Xemnas to then prepare as vessels. No. It's not that simple. If this was the case, please tell me why Braig was so shocked when he got stabbed? If this was all apart of the plan, i.e creating potential vessels for Master Xehanort's plan, why would Braig have been caught so offguard? More importantly, why would Braig even need to have been stabbed, seeing as he is already a vessel? Moreover, if Master Xehanort truly had control over Apprentice Xehanort, why in the world would he stab Braig, and not to mention also pretend to have some kind of amnesia? So what was "Ansem"/Apprentice Xehanort's true motive then? Get ready to think a bit obtusely. In the following, take a note of eye colour, something that has become very clear as a sign to tell who has a part of Master Xehanort inside them. Notice in multiple scenes in the most recent games, whenever someone asks some form of Xehanort, "Who are you? ", it seems to zoom in on their eyes, without them answering. This happens when Aqua asks Braig who he is at the Keyblade Graveyard in BBS, and when Riku asks Young Xehanort who he is in KH3D during his first Traverse Town visit. 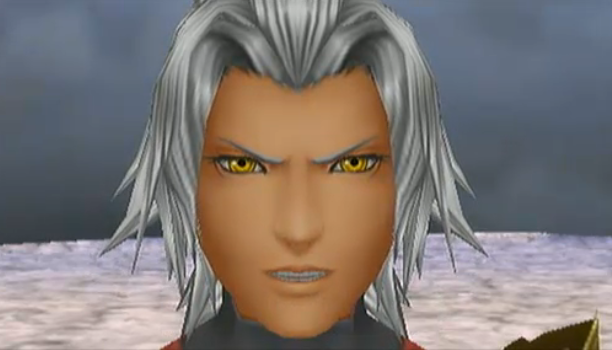 Eye colour: Yellow, clear Master Xehanort influence. Notice how in this scene too, it zooms in on Terranort's eyes immediately after showing his face. 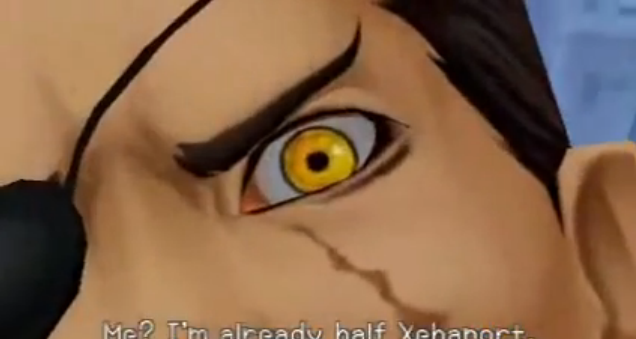 Eye colour: Yellow, clear Master Xehanort influence. Notice the camera zooming again. Eye colour: Amber/Orange. I chose this scene in particular due to the significance it has in my proof. And it zooms out from his eyes. Eye colour: Amber/Orange. Do you see where I'm going yet? Apologies for the quality, but do you see how very similarly both Xemnas and Ansem the Wise are sitting? Most people will dismiss this as coincidence, but do you also find it coincident that Xemnas chose his name as a pseudonym of Ansem rather than Xehanort? Or how, in his later moments, Apprentice Xehanort chose his name as "Ansem" instead of Xehanort? Both Ansem Seeker of Darkness and Xemnas, the "proposed" nobody and heartless of Apprentice Xehanort both share what in common? Yes. Eye colour. Now every time Master Xehanort has taken over someone, their eye colour changed to the same colour as his, the yellow. For example, Braig and Terranort. 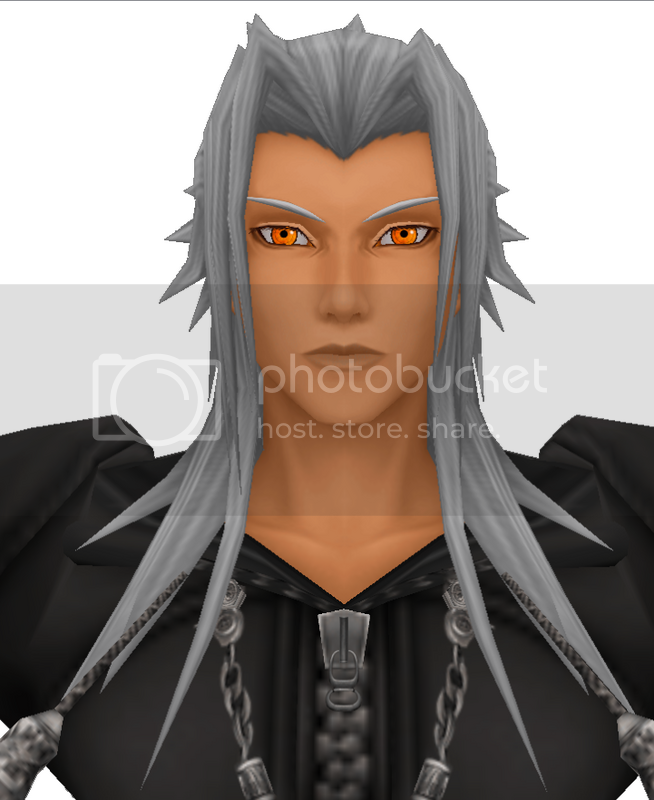 Well, guess who Ansem SoD and Xemnas also have common eye colour with? As we have been told, Apprentice Xehanort (with brown eyes) was very keen on researching the heart, and was severely disheartened when Ansem the Wise did not let him continue his research. Why Apprentice Xehanort was so keen on researching the heart may be discussed, as to who had control of him at this time, and there is not much evidence for Apprentice Xehanort's to conclude upon, thus this here is open to contemplation. However it is clear that he is not under Master Xehanort's influence at this stage, due to his eye colour. It is very, very hard to conclude who had control of him at this stage. 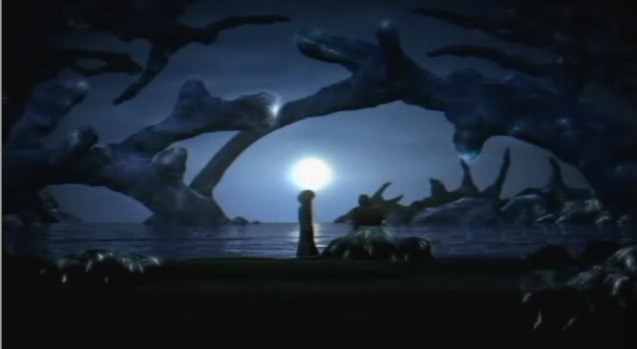 One potential theory that I am inclined towards is that he had nurtured his own heart by this stage, locking away both Terra's and Master Xehanort's hearts (also Eraqus), as Xemnas reiterated is possible in KH3D ("Once born, a heart may also be nurtured...") and deep down had the memories of Terra, Master Xehanort lodged inside him. I believe that right after Ansem the Wise found Terranort, where he stated his name is "Xehanort", Terranort, or Apprentice Xehanort, was much akin to the Lingering Sentiment, where by accidentally locking his heart(s) away, inside he contained none, however he still had the lingering emotion of incredible hatred toward Xehanort, and that is all he could remember at that time. Later, as he nurtured his own heart, he began to question who he truly was. This could especially be the case considering that Braig would constantly be reminding him of his former self, as seen in Blank Points. "Come on! Please tell me the amnesia was a sick joke..."
So, after being stopped by Ansem in his research, Apprentice Xehanort, perhaps discovering more and more about himself through the research on the heart, did not want to conclude the research. 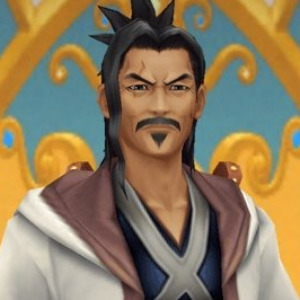 At this stage, he may have discovered things about himself like being able to wield the keyblade, and the dark realm, or perhaps he had some lingering memories from Master Xehanort and Terra come back to him, where by using this knowledge, and with the help of the other apprentices, he was able to banish Ansem the Wise to the Realm of Darkness. Despite all this above, which is very ambiguous, I think the next part of my theory is a bit more concise. After being banished to the Realm of Darkness, his 1st visit, Ansem the Wise had, perhaps, even more darkness in his heart than Master Xehanort himself due to the sheer amount of rage and hatred that he felt for Apprentice Xehanort, who banished him. He even states this himself, obtaining the power of darkness and naming himself Darkness in Zero, ready to get his revenge. The extent of his revenge, I believe has been hidden from us throughout the whole series, and is actually the reason for the mistaken identity case of Apprentice Xehanort/"Ansem". Acquiring the power of darkness, Ansem the Wise (now DiZ) sets off to confront Apprentice Xehanort. His intention was probably to kill(banish) each and every apprentice. The easiest way to do this was to take control of the now leader of the research among the apprentices, Xehanort. So like Master Xehanort, using his newly found power, he extrudes his heart and takes control of Apprentice Xehanort's body. He is able to successfully do this due to the extreme darkness present in his heart, and due to Apprentice Xehanort's already dark background. He then takes out the other apprentices with Apprentice Xehanort's keyblade, in the intention of banishing them, much like he was banished. And this is what we see at the beginning of KH3D. It would explain why Braig was so shocked when he said "My name is not "Xehanort"", and why he would say his name is "Ansem". Because it actually was Ansem, getting his revenge. And what better way to do it than to mutter, just as Braig is on the verge of fading away, "My name is Ansem." After banishing all the other apprentices, he stabs himself, believing he will rid the world of Apprentice Xehanort and get the revenge he wanted, at the cost of his life. However as we all know, after stabbing himself, he would bring an even greater evil among the world in the form of his nobody Xemnas and his heartless Ansem SoD. Furthermore, having stabbed himself, without knowing it, he arrives in the Realm of Darkness a second time. Throughout all this, as he travels around in the Realm of Darkness, he begins to feel remorse for what he had done, perhaps he finds out from sources, namely Mickey, within the Realm of Darkness what is happening in the Realm of Light. He knows he is responsible for it, and he feels compelled to do something about it. Mickey also tells him about Riku, who had been possessed by a figure named "Ansem" which, again, is Ansem the Wise's fault. So, Ansem the Wise begins his agenda to repay the world, by helping Riku remove the darkness inside him, as seen in Chain of Memories. This would also explain how Ansem the Wise was able to alter his appearance to look like Ansem SoD for the beginning of Chain of Memories. This is why throughout all of Kingdom Hearts 2, he always says he is a "fool" and everything that has happened is a result of his revenge. I never saw Ansem the Wise's revenge agenda to be of such fatal consequences to the world, as his revenge is described in KH2, however considering all of this, and how he could potentially be the root of all problems, he may even be considered the 2nd antagonist of the series. He even planted data inside Sora, as we find out in KH3D! Why would he go so far in an attempt to save the world? What he must of done surely was absolutely atrocious, and this theory supports just that motive. Further to this, notice when Braig refers to the plan to create 13 vessels in KH3D, he says "Xemnas and Xehanort formed the Organization for a specific reason..."
After the events of KH2, as a second sacrafice, this time to save the world, Ansem the Wise blows himself up with the machine that he uses to destroy the artificial Kingdom Hearts. However, this is not when he arrives in the Realm of Darkness. Once Xemnas is defeated, Ansem the Wise is reborn, due to his heartless half and nobody being defeated, in the Realm of Darkness, his 3rd visit, where he then later meets Aqua at the Dark Margin, as seen in Blank Points. This may seem a bit farfetched, but it seems possible to me. Please tell me what you think, and I will try to expand more on points that may be a bit vague, as this post is already way too long, if there are any questions. I know I should of made my own thread, but I found this topic to be a great opportunity to finally voice my opinion on this matter. I really enjoyed your theory Australian Riku, and think there's a good chance that you're spot on with this. At least most of it. Very interesting theory, my problem with this at all is that DiZ/AnsemTW would not have access to Xehanort's Keyblade had he possessed him. Especially had it been a transfer of the heart, AnsemTW could not wield (as far as we are aware of and I think we would have been shown by now had he had this ability) and the keyblade is dependent on the strength of ones heart when it chooses its wielder. AnsemTW would not have been granted Xehanorts ability to wield through this alone. This was different when it occurred with Riku and AnsemSoD because Riku willingly gave into him. Sorry, but I don't think it's as simple and obvious as you all think. Given all the past retcons and twists, I don't think the answer to the Apprentice Xehanort/Terranort/Ansem issue will be something that you can base solely on the information or small details that are given at the moment. You mean canon facts? Usually Kingdom Hearts IS very simple and obvious and predictable. The brown-robed Ansem is a Heartless with a humanoid form, similar to what happened when Sora was revived except still in a darkened bodiless state. This doesn't negate all the times he's been called a Heartless in the series, as pureblood Heartless are also basically just hearts. Hearts that have collapsed in on themselves, to be sure, but that's why when they're defeated they fade away instead of releasing hearts. That's why when Xemnas's Kingdom Hearts exploded all the hearts that fell turned into pureblood heartless. Right, because he's a Heartless. The brown robe dude is Ansem Seeker of Darkness. The series also refers to him as Xehanort's Heartless. If there was no Heartless, there'd be no Nobody, there'd be no way for MAster Xehanort to recomplete when both were destroyed. (The 3D journal, which is the word of God in this series, refers to him as Xehanort's Heartless.) He is the Heartless. I want to come back to the point about "Ansem" purposely doing it, in order to create nobodies for Xemnas to then prepare as vessels. No. It's not that simple. If this was the case, please tell me why Braig was so shocked when he got stabbed? If this was all apart of the plan, i.e creating potential vessels for Master Xehanort's plan, why would Braig have been caught so offguard? More importantly, why would Braig even need to have been stabbed, seeing as he is already a vessel? Moreover, if Master Xehanort truly had control over Apprentice Xehanort, why in the world would he stab Braig, and not to mention also pretend to have some kind of amnesia? I don't think he was pretending with the amnesia, Xehanort and Terra were at a stand-off and until then Terra's body was running on whatever influence was powering it. Who wasn't locked in the combat between Xehanort and Terra and who surprises Xehanort with his presence and who has brown eyes, similar to the Apprentice Xehanort? That sly fox. As for the vessel thing? It had to be a united front, they all had to be Nobodies. It's the same reason why Xemnas lied to the Organization about their ability to regrow their hearts. They all had to believe they needed Kingdom Hearts. Xigbar probably wouldn't have been able to understand or accept that, not yet. Nope, Xehanort was already spotted by Mickey as an apprentice. If I had Yen Sid on my tail, I would also pick a different name. And it worked for a decade or so, no one knew what Xehanort was up to. It means that Ansem the Wise was designed to look similar to Xehanort to throw people off the trail of who he was when kh2 was in development. If you want an in-game explanation? Coincidence, or that the amber color is an amalgamation for all the hearts trying to reclaim Terra's body. I dunno. This is the one area where such a theory gains a little bit of credence. 1: When Ansem the Wise was banished to the Realm of Darkness, the turning of the apprentices into Nobodies would have had to happen IMMEDIATELY afterwards. The fall of Hollow Bastion, the turning of the apprentices, and the banishment of Ansem the Wise happened at around the same time. There was no time for Ansem to return from the Realm of Darkness with this newfound power you speak of. The deed was done. 2: Xehanort's reports confirm that ONLY KEYBLADE MASTERS can transfer hearts like that. Ansem the Wise was in no way shape or form capable. 3: Ansem the Wise has been to the realm of Darkness only twice, by his own account. When he was banished and when Kingdom Hearts was destroyed. His revenge took about a decade, and it fell apart by the time he had completed it. Was what he did to Riku, Xion, Namine and Roxas not bad enough? Before Sora woke up he KNEW that he had wronged them, and that's what the data was all about. It wasn't about saving the world, it was about saving those he had wronged, and then some. But they are different personas. Xehanort and Xemnas can't be called one-in-the-same if they are both alive. Which they were in 3D. "This is my second time on these shores." Good run, but too many canonical holes. Oh yeah, just like Kingdom Hearts 2. Those retcons were so predictable. Oh yeah. And KH3D. Time travel! How obvious! I'm very curious to see how many people would agree with you that the KH storyline is very easy to understand, not convoluted in any way and very easy and obvious to predict. Ok. We can conclude he is not Master Xehanort's floating heart. Yes, he may even be Ansem's heartless (as in Apprentice Xehanort/"Ansem"). But he also may even be Xehanort's heartless. And Eraqus' heartless, and Terra's heartless. All 4 of them. This is what my theory is proposing. Hey, that "word of God" in the series would have also named "Xehanort's Heartless" as "Ansem" before we learned that he was infact "Xehanort's heartless" through a retcon. So it is absolutely possible that they re-name him yet again in a future installment. Actually, I don't even see anything wrong with calling him either "Xehanort's Heartless" or "Ansem" as, by my theory, he could be actually be both. You silly goose, they don't have to be Nobodies. Where does it state that? Master Xehanort is able to successfully create a vessel out of Terra by tempting the darkness in his heart. He does the same with Sora's heart in KH3D, by plunging it into the deepest ends of sleep, thus the deepest pit of darkness. It's just the easiest way to go about it would be to tell them they couldn't grow a heart, so that they would be empty shells, just waiting for some of Xehanort's tasty heart. Much easier than having them grow a heart and then make them all succumb to darkness. 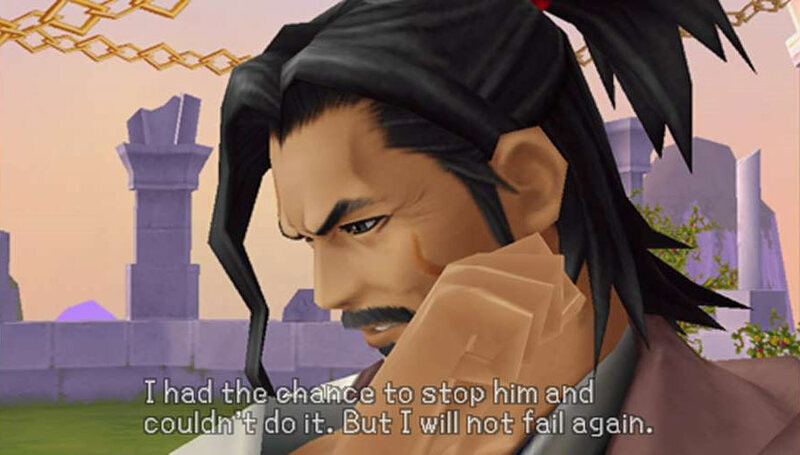 And it still makes absolutely ZERO sense that he would stab Braig, he is already a vessel, he has Master Xehanort in him, there is no need to make him into a nobody. And Xigbar would of definitely been able to accept it, given that he knows how powerful Master Xehanort is, and if he wasn't to comply he would probably be killed on the spot. Also, if Eraqus was really in control of Apprentice Xehanort, the purpose of stabbing every apprentice would not of been to create nobodies in the intention of creating vessels, since he would not have Master Xehanort's motives! Your two counter arguments actually contradict each other here. I can prove you to be incorrect again, simply by the fact that not even Mickey could remember Xehanort's name until he saw Xemnas in KH2. Also, Ansem the Wise was a pretty renown figure, judging by the fact that Mickey chose to console with him about the various worlds' stability. If he was truly worried about being tracked down, why wouldn't he just change his name to Bob Smith so no one would ever know who he truly was? Also I put forward another thing, please, please tell me why he would tell a dying/fading body: "My name is Ansem". Ok, that's great! Why would someone who is just about to die even remotely care what his murderer's name is? Why would someone who just killed someone even want to tell them their name? Let me ask you something. If you had just been stabbed in the parking lot, and are just about to die, I'm fairly certain the murderer would only reveal himself to you if he was performing some revenge kill, adding insult to the wound, because he knows now that you're dead, you're not able to do anything, even with that information. It's the same case here. He is rubbing it in. Yeah. I'm Ansem, you're all gonna pay for what you did. The thing is, Nomura gives explanations for nearly everything. He even explained why in Another Side, Another Story Riku did not attack Roxas as he jumped down the skyscraper(Xion). Why would he leave out something as major as the same eye colour, which has proven to be a major and key plot point? It was not simply a design requirement to throw people off between KH1 and KH2. 1. It is not stated anywhere that the collapse of Hollow Bastion and the killing of all apprentices happened "IMMEDIATELY" after Ansem the Wise was banished. I'm farily confident that Apprentice Xehanort and the other apprentices continued research for a little while before Apprentice Xehanort finally went nuts. But i also want you to keep in mind that the flow of time in the Realm of Darkness is different to the Realm of Light and that it is entirely possible that after 1 day passed in the Realm of Light, in the Realm of Darkness it had passed 5 days or so. This would give Ansem the Wise plenty of time to embrace and hone his dark powers. Remember how bloodthirsty he said he was once he was banished. 2. I wouldn't be surprised if through the sheer amount of darkness present in Ansem the Wise at that time, and his strong resolve to destroy all the apprentices, he was able to summon a Dark Keyblade of his own. Given that he was also in the Realm of Darkness. How else would he learn to harness and use dark powers? Regardless, despite how he did it, I strongly believe that he managed to take over Apprentice Xehanort's body. That may be, but I wouldn't give up my life just for the sake of that. I don't care if it's Disney or not, this game does have some dark themes, and I don't think a character is willing to give up his life for the sake of a few little mishaps, in comparison to something like causing all the worlds to fall into darkness. But the plan to create 13 vessels is Master Xehanort's plan. Master Xehanort is the overseer. He is creating another 13 Xehanorts. However the fact that he made a distinction between Xehanort and Xemnas is interesting, seeing as in the end they will all be "Xehanort" anyway. I provided a potential second solution to this up above. Easy to understand? No. Easy to predict? Absolutely. The time travel thing was called. The time travel thing was called so hard. The time travel thing came up as soon as users here realized that the Mysterious Figure was fighting in Birth by Sleep with a pair of glorified clock hands. It was called after Birth by Sleep. Look, your theory could be nearly correct, or have many correct facets, or Nomura could change the established facts so much that the entire thing is correct but where's the fun in theorizing something in the basis that the series doesn't always pay attention to itself? Anything could happen with this logic. Anything. I am working from a place of established fact, and foreshadowing. Interpret and speculate to your heart's content, but when you start telling other people why they are wrong for sticking to what the game has told us...well, it doesn't really set us up for a lot of camaraderie. I see where you're coming from, but the 3D Journal is different in a lot of ways. Nomura went out of his way to specifically clarify the accounts in the chronicles and the glossaries in order to set as much up as possible for the future. 3D is the launch point for Kingdom Hearts III, it's the most current game in the canon and so its accounts are probably the closest thing we're getting to an in-canon Ultimania interview. Sorry mate, unless I can't see well, Eraqus' eye colour is actually black. they don't have to be Nobodies. Where does it state that? Master Xehanort is able to successfully create a vessel out of Terra by tempting the darkness in his heart. He does the same with Sora's heart in KH3D, by plunging it into the deepest ends of sleep, thus the deepest pit of darkness. It's just the easiest way to go about it would be to tell them they couldn't grow a heart, so that they would be empty shells, just waiting for some of Xehanort's tasty heart. Much easier than having them grow a heart and then make them all succumb to darkness. There is a method to it, it could be easier to get the nobodies and hook them up to Kingdom Hearts. Unfortunately, some of the members ended up not working out and Kingdom Hearts took too long to complete. It's not the best method, but I can see why Xehanort wanted to try it first in case the time travel thing ended up not working out. Xehanort was planning the Organization before all of this, and clearly didn't let Braig in on it. So something had to be up, there HAD to be a reason why he did it. Xehanort knew it was going to happen! He told Terra he had many plans in motion. There's no way this was Ansem the Wise's doing. I never meant he had total control, I just meant that if any of the heart inside Apprentice Xehanort had any sway at the time, it's possible that it was some part of Eraqus. If that was the case, I don't think he'd be totally aware of himself or anything else. How does that prove me to be incorrect? Look, a year passed between Birth by Sleep and when Mickey saw Xehanort. If Mickey had been given reason to think about it more, I'm sure he'd have suspected that the odds were just too low that there was more than one. Which means that Xehanort would want to get the donk out of dodge. Taking Ansem's name also serves another purpose, it smears Ansem's name. And if Mickey was busy pursuing who he thought was his former friend, he'd be too distracted from locating the real Ansem. Which he was! Because it's been known that Xehanort stole Ansem's name, he chose to do it before becoming a Nobody. He chose to do it so everyone knew. He chose to do it so both of the halves that were split would have the same name. Braig was not dying. Braig did not die. Xehanort knew he'd be seeing him again. Stabbing the apprentices didn't kill them, it just caused them to be separated. They reformed and continued their work. I'm not interested in predicting or discussing something someone might decide to do in hindsight. 1. It is not stated anywhere that the collapse of Hollow Bastion and the killing of all apprentices happened "IMMEDIATELY" after Ansem the Wise was banished. I'm farily confident that Apprentice Xehanort and the other apprentices continued research for a little while before Apprentice Xehanort finally went nuts. There just isn't any time for it. The fall of Hollow Bastion happened one year after the events of Birth by Sleep, and we see what the characters looked like when they turned into Nobodies. There may have been several days to play around with, I'm not saying it happened all the same day, but for what you're proposing? No, I don't see it happening. But i also want you to keep in mind that the flow of time in the Realm of Darkness is different to the Realm of Light and that it is entirely possible that after 1 day passed in the Realm of Light, in the Realm of Darkness it had passed 5 days or so. This would give Ansem the Wise plenty of time to embrace and hone his dark powers. Remember how bloodthirsty he said he was once he was banished. It's true, however, it's been shown that even though time flows differently in the realm of darkness, it doesn't rapidly move forward. Aqua was in the realm at that time, and some time before, and a decade after. She hasn't changed a bit. This means that time moves very slowly, if it even moves at all. It seems that Dark Keyblades have to be found, not summoned. Anyway, that doesn't matter. You have to be a MASTER to gain that power. Mastery is something that has to be acknowledged, and I don't think Aqua let him test for the Mark down there. I agree with you that by this point in time Xehanort was sending off fractions of his heart instead of the whole thing. The actual partial transfer thing happened with the aide of his Keyblade, and I think that still means he'd have to be a Keyblade Master. He did take responsibility for that, and then some. You're right in that Ansem felt guilty for what Xehanort did, but that could just mean he felt bad that he wasn't able to stop it before it went too far. the plan to create 13 vessels is Master Xehanort's plan. Master Xehanort is the overseer. He is creating another 13 Xehanorts. However the fact that he made a distinction between Xehanort and Xemnas is interesting, seeing as in the end they will all be "Xehanort" anyway. Exactly. It was all Xehanort's plan, I can't foresee Xehanort being able to plan that Ansem would take control of his body and kickstart his plan to create Organization XIII. You're right in that it's not just as simple as different shades of one Xehanort. Xemnas and Ansem SoD are a byproduct of at least Xehanort, Terra and possibly Eraqus. Adding a fourth is stretching something that's already stretched pretty thin. Now, now. Take it outside guys. On a serious note, the new theory is certainly interesting to think about, but as already stated, there are a couple of holes in the theory as well. Granted, I can easily see Nomura and the writers pulling a "Sure, why not," and have some of what was mentioned in here as canon for Kingdom Hearts III. However, there are still segments of the theory that don't quite line up with what we know as of this moment. Until more information is leaked and until the game itself is released, anything that comes from either side of the argument can hold a certain amount of weight to it. I would reply but the posts are far to long at this point (feeling lazy) plus the theory in question and the holes withiin it have already addressed by Tinny however I do feel it's important that one matter is clarified. So it is a confirmed fact on multiple levels that Ansem is the Robed Figure. Yes YX said that he was "Xehanort reduced to just a heart" but that is what a heartless is. Just a heart enveloped and consumed by it's own darkness which is what Ansem was. Though he is very unique in that he retains human intelligence that will never change the fact that he is a heartless or that he is the Robed Figure. Yeah, my theory has lots of holes, but I think if you don't look at the specifics, maybe it can be a starting point for some better theories? I just like being a bit adventurous and getting some wild ideas out there. I'm glad you guys gave feedback and found flaws i didn't really see myself initially. That's why it's a theory right? I agree Kuraudo, let's wait for a bit more info before we speculate further. *breathes* I was so worried that a fight was gonna start. although I think your theory is well thought out, looking at the specifics is pretty important when it comes to feasible theories! There wasn't going to be a fight, everything was fine. My kurtness may come off as assertive, but I'm pretty mellow and enjoy lively debate, or whatever. Holey theories are perfect for that. I have to admit that was a pretty interesting read, both the theory in itself as well as Tinny's and Anagram's replies pointing out the holes in the theory regarding the capabilities and possibilities of Ansem the Wise to be that deeply involved. Only to add something more substantial to the post (and not have it just a praise for a good theory and debate about it), I'll provide something more regarding how we were shown Ansem's revenge happened only during the time from CoM up to KH 2 and involved mostly the horrible stuff he subjected Naminé, Xion, Roxas, Riku and by proxy even Sora to. It was admitted and stated by Ansem himself in both person and through his secret reports. How long has it been since I met him? At least a year now, perhaps more... Back then, my heart was clouded with vengeance. I did terrible things...both to him and his friends. I brought unhappiness to more lives than one. Here, Ansem talks about the events of CoM. A superhuman power—the power of darkness. These Reports indicate clearly that Ansem the Wise did not manage to gain powers of Darkness and escape his banishment until the events of KH 1 were already unfolding, meaning pursuing his revenge could only start at that point. I have to say, Australian Riku's theory made for one very interesting read indeed. Moreover, the boxing gloves came out with that great debate between Riku and Tinny, nice. Still, like others aforementioned, there are discrepancies that prevent it from passing the theoretical stage. One that comes to my mind is essentially similar to what Sephiroth had already said. Ansem the Wise did not start feeling/showing feelings of regret until KHII. Murdering people, even traitors, tends to make one feel guilty. In addition is the whole access to Terranort's Keyblade thing. The eye color was the most interesting thing. Xehanort's Heartless and Nobody have the same eye color as Ansem the Wise; that's a good find. Perhaps it could be a psychological thing. At this point, there are 3 selves within that one person. Before AX's demise, the amnesia and internal struggles drove him to believe he was Ansem. When the Heartless and Nobody were created, maybe the eye colors of Terra, Eraqus, and Xehanort all combined to produce the same color as Ansem the Wise, in response to his psychological identity issue. [HR][/HR]EDIT: Just Looked up Ansem Report's 10 from KHI. It pretty much says that the plan to stab himself (and the others) was of his own volition. Yes that’s it. The Heartless come from people’s hearts, as does the darkness. Is the core of the world’s heart the world of the Heartless? I will pursue the answer there and become all knowing. My path is set. I shall seek out the wielder of the Keyblade, and the princesses. My body is too frail for such a journey, but I most do this. I will cast it off and plunge into the depths of darkness.